There are more active mobile phones in the United States than there are people. Most people have some sort of multi-function digital device. But have you ever thought of using your smartphone to help your student learn? 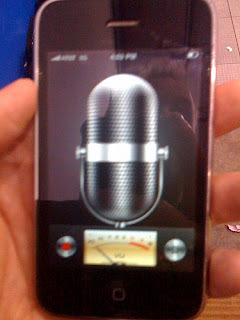 One of the most useful functions on a smartphone that is least used is the voice recorder. According to the International Reading Association report by Roxanne F. Hudson, Holly B. Lane, and Paige Pullen entitled Reading Fluency assessment and instruction: What, Why, and How? three factors important in reading development are accuracy, rate, and prosody or expression. In the research, it says that hearing ones own voice is a very powerful experience for readers at any age and helps increase fluency. So while you are riding in the car from place to place, use the sound recorder application to record your student reading a book and then let them listen to themselves. Talk to your student about what the book was about, about how expressive they were when they read. Make a game out of it. Amazing how something you already probably have in your pocket could be very powerful, and an easy way to help your students learn to read and comprehend.